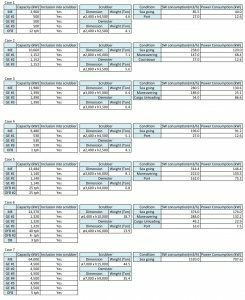 In this technical note, we have shown the corrosion rate of SUS316L material in the presence of sulfuric acid as per the weight concentration in %. Expected annual corrosion of the scrubber body, when SUS316L is used, is ~0.03mpy, corresponding to 0.000762mm/year of corrosion speed. The corrosion speed depends on the weight concentration of sulfuric acid during scrubber operation. STI has shown that it is in the range of ~10-4% of weight concentration of sulfuric acid, which is well below the concentration ranges where other types of stainless steel material like duplex, super duplex, etc. As a summary, SUS316L is good enough to make marine SOx scrubber units considering the weight concentration of sulfuric acid (being very low) and the operation temperature of <100degC. Project decision about SOx scrubber installation to any shipping companies is not easy at all. Ship owners/operators should consider all aspects of technical, operational, and financial issues. Among these, technical issues may be the easiest one as SOx scrubber manufacturers provide detailed project proposals including various technical issues. Project review from operational point of view have to do with fleet planning, voyage schedule, fuel price, and related operating costs. Ship owners may find the financial issue as the most difficult one because SOx scrubber projects requires big investment in the beginning. ROI of the SOx scrubber projects with STI is considerably short, but upfront investment is still a big burden to the client. We learned that Korea Export and Import Bank (www.koreaexim.go.kr) offers “Export Facilitation Loan“, and SOx scrubber projects may fit into the category. For those Ship owners/operators who are interested in the SOx scrubber project financing, STI can check the possibilities and eligibilities about the project opportunities. 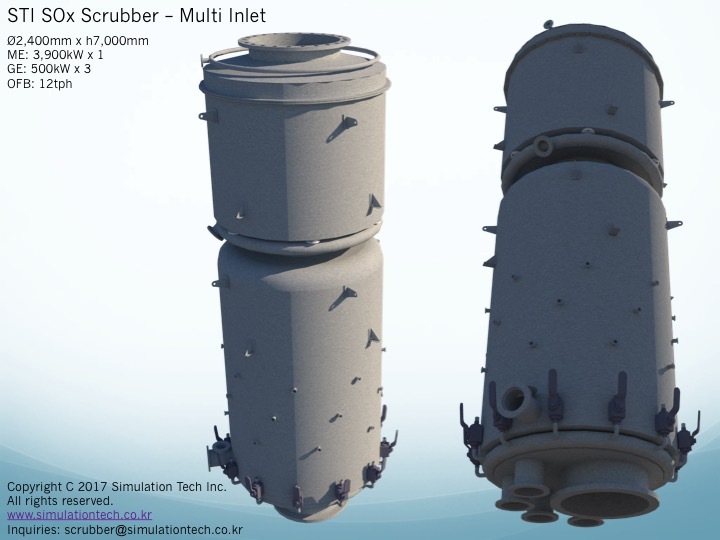 Any inquiries about the SOx Scrubber system inquiries, please contact STI at scrubber@simulationtech.co.kr. Once above parameters are given, estimation for the scrubber sizing and related project cost can be made. From the sizing and system configuration, estimation of operating cost including consumables and additional power consumption can be made. For the general maintenance cost for the scrubber system, STI usually sets as 5% of the initial equipment cost, but this is purely superficial number that can clients can adjusted based on the experience or company guidelines. STI has generated lots of ROI estimations for various clients, and usual ROI is 1~2 years from installation. For some big ships, the ROI is less and ships with small engines has longer ROI period. Please feel free to contact STI to get initial project estimation for SOx scrubber installation and operation on your fleet. 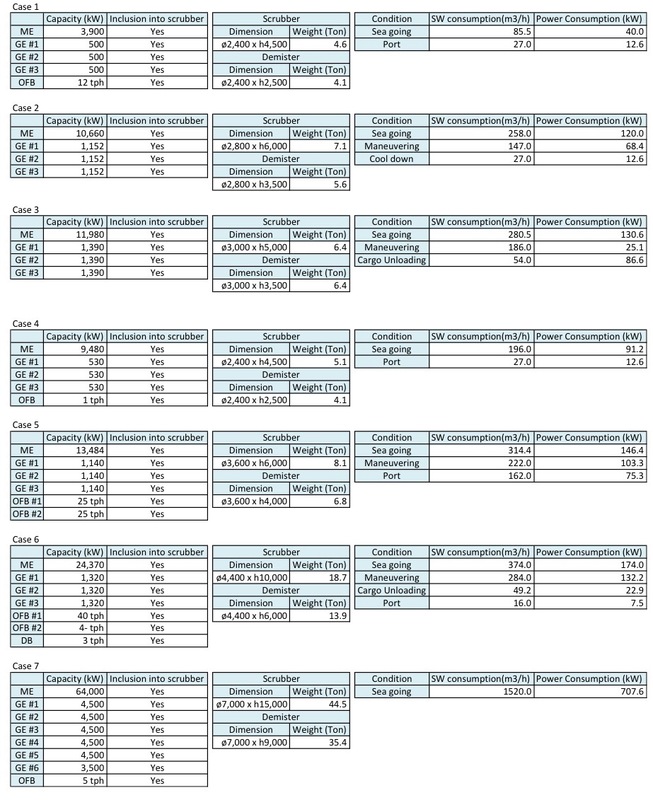 Bunker price between high sulfur fuel and low sulfur fuel has been always significant. Price difference was USD150 in Jan 2016, and is USD200 at the end of June 2016. The ratio (=(LS-HS)/HS) was 100% when the price level the lowest in Jan 2016, and is 80% at the end of June 2016. Whether the bunker price is low or high, price difference between HSF and LSF always exists. Installation of scrubber systems has been always an option for ship owners operating in SECA. The only difference is the Return of Investment (ROI) period that is set by the “Fuel Price Difference” and “Equipment/Installation/Maintenance Cost”. SOx scrubber system from STI has always been a practical option for shipowners to stick to burning HSF in SECA while complying with the MEPC requirements, which has been due to the competitive equipment cost and lower installation cost. Bestyrelsen for den europæiske investeringsbank, EIB, har godkendt en samlet investering på 7,4 milliarder euro, hvoraf de tre milliarder skal investeres i udvikling af renere transport og energi. Der er tale om 17 forskellige projekter, blandt andet udvikling af nye vindmøller i Tyskland. Nok så interessant er det dog, at der skal investeres en milliard euro i initiativer, der er med til at reducere den skadelige udledning fra den europæiske skibsfart. Der er både tale om investeringer i nye energieffektive teknologier samt finansiering af retrofitting af eksisterende skibe samt finansiering af udviklingen af nye miljøvenlige skibe. Alle projekter skal dog først godkendt af EIB’s bestyrelse før, at der kan indgås nogle endelige lånekontrakter.